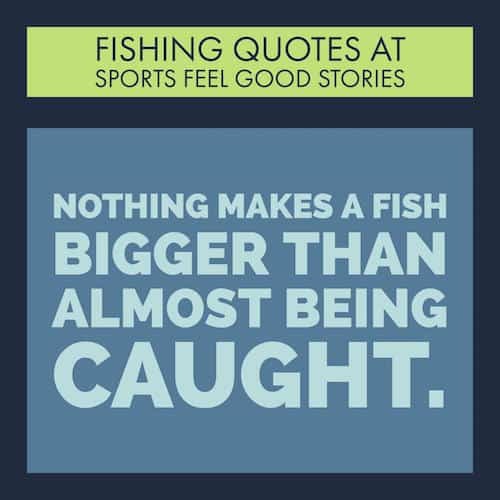 Fishing quotes roll off the tongues of experienced anglers. Why? We have plenty of time to think about them. Someone once said that distaste for fishing is nothing less than hating the moonlight or denouncing mother’s love. There is nothing like fishing in this world. It is an art for some, a sport for others, but it’s something indefinable for many. It’s an enigma to many and something that makes them feel closer to themselves. There are very few things in life that allow you to unwind from the pressures of life like fishing. The time you spend fishing, you will love every minute of it. 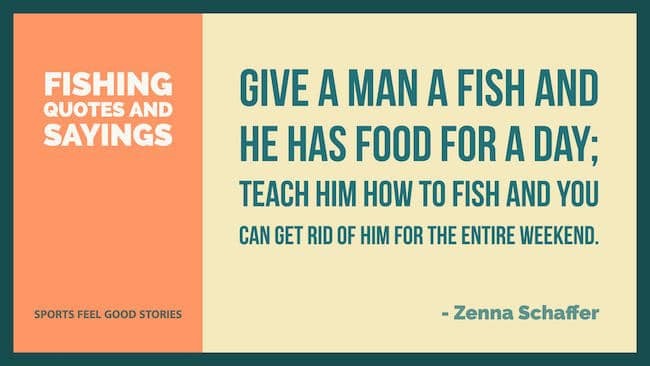 Here are some beautiful and funny fishing quotes and sayings that will make you feel even more special about fishing. I don’t exaggerate – I just remember big. In Montana, whether you’re a farmer, whether you’re a fisherman… you know that the climate is changing, and we need to do something about it. …of all the liars among mankind, the fisherman is the most trustworthy. The best way to a fisherman’s heart is through his fly. Look at where Jesus went to pick people. He didn’t go to the colleges… he got guys off the fishing docks. Gone fishin’, be back at dark-thirty! Fishing is a hard job. Fishing at night. Rain. Day, night… You have to be wise and smart. And quick. Anytime I can sneak in a moment to fish and ride horses, I’m a happy camper! Somebody behind you while you are fishing is as bad as someone looking over your shoulder while you write a letter to your girl. If fishing is religion, fly fishing is high church. The charm of fishing is that it is the pursuit of what is elusive but attainable, a perpetual series of occasions of hope. Fishing is a discipline in the equality of men–for all men are equal before fish. The act of fishing – for fish, dreams or whatever magic is available – is enough. Even if you’ve been fishing for three hours and haven’t gotten anything except poison ivy and sunburn, you’re still better off than the worm. It is the goings-on between bites that excites the traditional angler as much as when the float goes under. 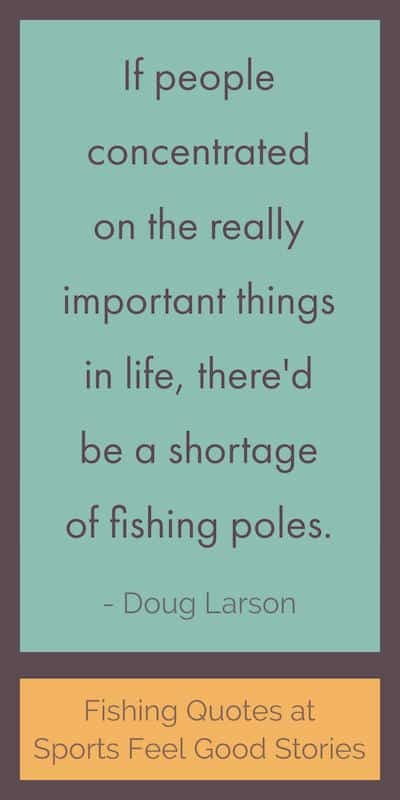 There’s always an opportunity to fish for something – even if it’s just for laughs or ideas. Cast away your troubles. Go fishings. 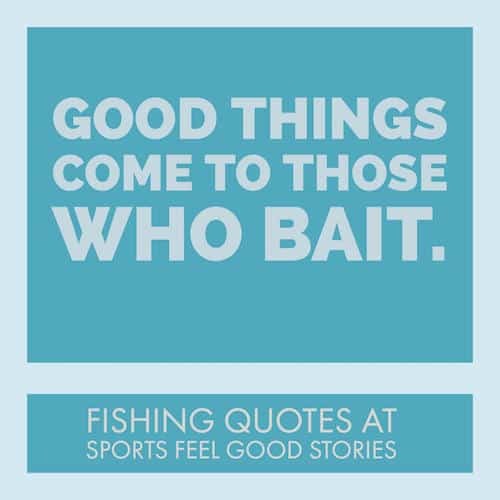 You’re on Fishing Quotes and Sayings page.